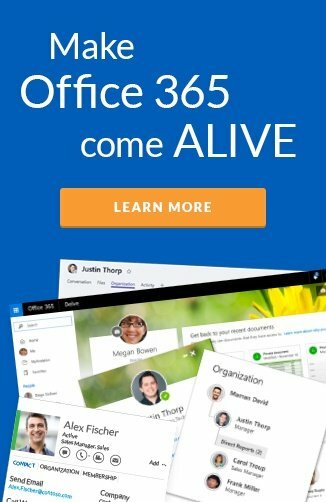 Following it’s release at last year’s Microsoft Ignite conference, we have been hard at work to bring additional features into Live Directory, and are excited to announce that it now features personalized organizational charts. This brand-new feature gives employees more insight into their colleagues and where they fit in the company structure. The addition of organizational charts to Live Directory makes it even easier for employees to connect to the people and skills they need across the organization. Clicking on the organizational chart icon on each of these features will launch the organizational chart of that specific employee including their immediate manager, colleagues and reports. The organizational chart also allows employees to explore these immediate colleagues and launch their organizational chart. Check out the video below to see it in action. Live Directory delivers an accurate snapshot of where an employee sits within their organization. Through our Hyperbot, the process of keeping organizational hierarchy up to date is made simple. 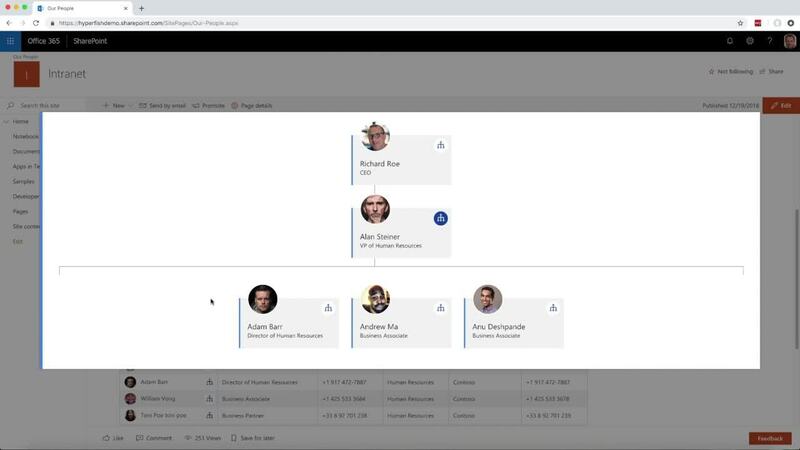 Hyperfish proactively reaches out to employees with missing and incorrect profile information and provides them a quick and easy way to update these details, including their “manager”. Our approvals feature provides additional assurance that your organizational hierarchy reflects the current status quo and reporting lines. What else is new in Live Directory? In addition to organizational charts, Live Directory has added two other notable features since it’s initial release. 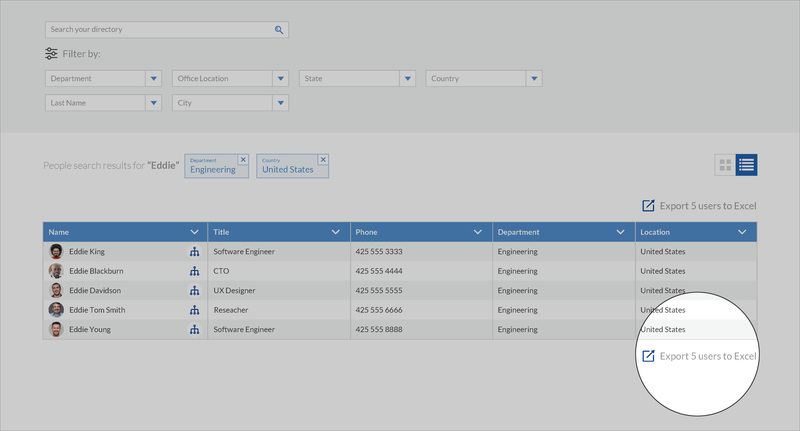 Live Directory now provides two views of the employee directory search results by default, profile cards and table view. 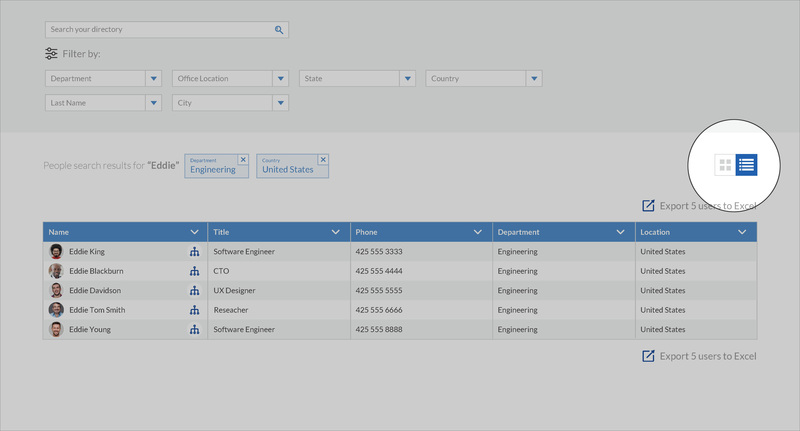 The table view offers a condensed view of the search results, with columns that are configurable to display the employee information that’s most important to your organization. The Table view can be accessed by clicking the “table” icon, that displays on the right-hand side underneath the search and filter panel. Live Directory now offers the ability to export search results to an excel or csv file. We understand that employee information is essential for many critical business systems and initiatives, with this new capability the accurate employee information found in Live Directory can be exported and made available to additional systems. This new feature can be found on above and below the search results on the table view of Live Directory, as shown below. Get free personalized demo of Live Directory today and stay tuned for more updates on Live Directory.